Park Forest, IL–(ENEWSPF)–March 1, 2010. The 2010-2011 Park Forest vehicle stickers go on sale beginning March 1st. Before you place the new sticker on your windshield, be sure to check out the art work as it was created by students from Matteson Elementary School District 162. The 2010-2011 sticker is the winning design in a competition sponsored by the Chicago Botanic Garden and the State of Illinois soliciting ideas for art on rain barrels. More than 30 teams of eco-conscious youths participated in the contest which the organizers hope will raise awareness about conserving water and other natural resources. The Village chose home-grown talent for this year’s sticker design as a way to showcase the talent of our students while illustrating Park Forest’s continued commitment to green initiatives. Remember, any vehicle operated on Village streets by a person who resides in Park Forest or whose principal commercial location is Park Forest is required to have a valid vehicle sticker displayed by May 1, 2010. If your club, organization or local business will be holding activities or events in our community during the upcoming week, please send an e-mail to [email protected] with the details. Submission deadline is noon on Friday of each week. The Village Board is scheduled to meet on Monday, March 1 at 8 p.m. at Village Hall. In addition, a Saturday morning rules meeting will take place on Saturday, March 6 at 10 a.m. Residents are encouraged to attend. Village Board meetings air live on cable access channels (Channel 4 for Comcast subscribers and Channel 99 for AT&T subscribers) as well as on the Village web site at www.villageofparkforest.com. To view previously held Board Meetings, visit the Village’s web site at: http://www.villageofparkforest.com and click on the date of the meeting you wish to watch. Plan Commission – Tuesday, March 2 at 7:00 p.m.
Economic Development Advisory Group – Wednesday, March 3 at 7:00 p.m. Environment Commission – Thursday, March 4 at 7:00 p.m.
Senior Citizens Advisory Commission – Thursday, March 4 at 1:00 p.m.
All meetings are held at Village Hall, 350 Victory Drive. Residents are encouraged to attend. Census forms will be mailed to all Park Forest homes in March. Census information affects the numbers of seats the state of Illinois occupies in the U.S. House of Representatives. And people from many walks of life use census data to advocate for causes, rescue disaster victims, prevent diseases, research markets, locate pools of skilled workers and more. Complete it promptly and mail it back upon receipt. Help make a difference in Park Forest. For more information about the 2010 census, visit: http://2010.census.gov. On Monday March 1, Gainers Gymnastics, 300 Victory Drive will provide educational, recreational and cultural activities along with healthy snacks. Gainers provides a safe environment for children when school is not in session. For more information, call Karon at 708-481-2261. The Park Forest Health Department has a limited supply of H1N1 vaccines available. H1N1 vaccines will be given by appointment only on Mondays and Fridays while supplies last. The fee for the vaccine is $15 and must be paid in cash at the time the vaccine is given. Medicare primary is accepted and Medicaid accepted for those 6 months through 18 years of age. No Managed Care enrollees accepted. For additional information or to schedule an appointment, please call 708-481-1118. Office hours are 9 a.m. to 5 p.m. daily. Babies, teens and adult immunization and flu and pneumonia clinics will be held on Mondays and Fridays from 10 a.m. to 4 p.m. For details or to schedule an appointment, call 708-748-1118. The Health Department is a low cost provider for children and adult immunizations. A free Blood Pressure Clinic is held at the Park Forest Health Department Monday through Friday from 9 a.m. to 4:30 p.m. Elevated blood pressure is a risk factor for stroke and other cardiovascular diseases. Walk in or call ahead at 708-748-1118. Leaders in the southern suburbs are coming together to raise money for Haiti following a devastating earthquake that claimed thousands last month. A South Suburban Haiti Relief Fund Event will take place March 5th and 6th at Freedom Hall Theatre, 410 Lakewood Blvd., in Park Forest. The two-day fundraising event will feature a comedy show on Friday, March 5th at 8 p.m. and a variety show on Saturday, March 6th at 5 p.m. Both shows are expected to last an hour and a half. Celebrity performers featured on BET’s Comic View and HBO’s Bad Boys of Comedy have confirmed for the comedy show portion of the event. Performers include: Kevin Williams, Kendall Ferguson, Vince Acevedo, Lady Lunchebell, B-Cole, Erika Edwards, Lucky Luciano and Tyron Foston. Top talent from last month’s Park Forest Idol competition will perform at the variety show, with area jazz bands and professional vocalists also added to the bill. 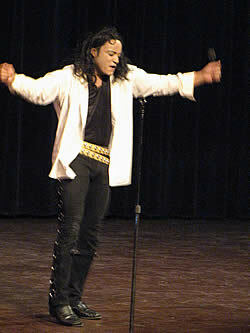 Performers include Deata, Opal, Monique, Keata, Robert & Park Forest Idols: Gabriel Velez & Deana Williams. Tickets can be purchased in advance for $10 by visiting Village Hall in Park Forest, 350 Victory Drive. Tickets purchased on the day of the event will be $15. Tickets can also be purchased online at the Village of Park Forest’s website: www.villageofparkforest.com. General donations will also be accepted. Organizers hope to raise $5,000 toward relief efforts. Branson, Missouri, the Live Music Show Capital of the World, and Diamond Tours® brings you to the best of the best. Non-stop excitement and fun is waiting for you on this whirlwind show trip. With a mixture of some old favorites and new attractions, the Branson Show Trip is the must-see tour of the season. The trip includes round-trip transportation via Diamond Tours’® motorcoach, 4 nights lodging, 8 meals (4 breakfasts and 4 dinners) and admission to 7 fabulous Branson shows. Price for the trip is $469.00 per person, based on double occupancy (add $120 for single occupancy). $75.00 is due upon registration which will be refunded if the trip does not have a minimum of 30 participants. Final payment is due April 21, 2010. Register for the trip no later than Friday, March 5 at Park Forest Recreation & Parks Department at Village Hall, 350 Victory Drive. For additional information, call Carolyn Hoff at 708-748-2055, extension 5652. Come join us on Saturday March 13 from 2 p.m. to 4 p.m. for an afternoon of murder and mystery where you get to help solve the crime. Murder in Three Acts is a play performed by The Mystery Shop where the audience investigates the crime between acts by questioning suspects, examining evidence and ‘buying’ information with Mystery Bucks. The first 25 people to arrive will receive a free gift. The event is free for those ages 16 and up. Registration deadline is Wednesday, March 10. For additional information, call the Village’s Parks and Recreations Department at 708-748-2005. Thursday, March 4 at 10:30 a.m. – “Carl Jung and the Symbolic Life” by Lucy Klein and Arlo Compan. Light refreshments will be served. For more information on this event, please call the Library’s Adult Services Department 708-748-3731. On Saturday, March 6 at 2 p.m., the Park Forest Library will launch its Big Read program in celebration of The Maltese Falcon by Dashiell Hammett. The Big Read event will be held at Village Hall, 350 Victory Drive. The kick-off event will feature a lecture by Rosemary Johnsen, Assistant Professor of English at Governors State University and a reading of the first chapter by Judge Raymond Funderburck. The first book discussion will follow. For more information, call the Park Forest Library’s Adult Services Department at 708-748-3731. On Saturday, March 6 at 2 p.m., the Park Forest Library will launch its Little Read program at the Library, 400 Lakewood Boulevard. Participants will meet Chet Geeko and make special Morse code necklaces. For more information, call the Park Forest Library’s Youth Services Department at 708-748-3731. “The Last of the Red Hot Lovers” runs from Friday, March 5 through Sunday, March 21. Performances are Wed. through Sat. evenings at 8 PM, and Sundays at 2:30 & 7:30 PM. Tickets are priced at $21 on Fri. & Sat., $19 at all other times. The Illinois Theatre Center is located in Downtown Park Forest at 371 Artists Walk (off Indianwood Blvd., adjacent to Village Hall). For tickets, call 708-481-3510. On Saturday, March 13 at 8 p.m., Victor Yampolsky will conduct W. A. Mozart’s Symphony No. 38 in D Major, K. 504, ‘Prague,’ and Requiem, K. 626. This program offers Mozart in two extremes, the light face of his ‘Prague’ Symphony and the intense and reverent Requiem, which lay incomplete on his deathbed. The event will be held at Lincoln-Way North Performing Arts Center, 19900 S. Harlem Ave., Frankfort, IL. Tickets range in price from $50 to $15. For more information, call 708-481-7774 or visit www.ipomusic.org. On Sunday, March 14 at 4 p.m., enjoy brilliantly revived arrangements of Broadway classics featuring the actual stars of shows such as The Phantom of the Opera, Les Miserables, Cats, Jesus Christ Superstar, Jekyll & Hyde and more. Tickets range in price from $46 to $26. In addition, you can enjoy a delicious, pre-theater dinner at Scrementi’s Restaurant , 3760 Chicago Rd., Steger. The menu includes salad, beef, pasta, chicken, coffee and dessert for $25 per person (excluding tax/tip). Advance dinner reservations are required and can be made at the Center’s box office. For more information or to purchase tickets, call 708-235-2222 or email [email protected]. As part of its Senior Series, Chicago’s crooner, Frank Lamphere and an ultra-swinging jazz band, will perform great renditions of Frank, Dean, Bobby Darin, Tony Bennet, and more, with some of the hottest jazzy instrumentals anywhere on Tuesday, March 9, at 11:00 a.m. at Freedom Hall’s Nathan Manilow Theatre. Medleys of Sinatra and Dean Martin with a few Elvis tunes thrown are sure to warm up a winter’s day. Tickets are $8.00. For more information or to order tickets, please call 708-747-0580. Relive your childhood memories or show your children/grandchildren what it was like to live in the ‘good old days’ by visiting the Park Forest House Museum. The Museum is open on Saturdays from 1:00 p.m. to 3:00 p.m. Admission is $5 for adults; children 12 and under are free when accompanied by an adult. Group tours are by appointment. Call 708-748-3731. On Tuesday, March 2 at 5:30 p.m. in the Sherman Recital Hall at GSU, Lines in the Sand: Loss, Fear, and Whiteness in the U.S. Media Representations of Contemporary Mexican Immigration, a multimedia performance investigation of the U.S. media representation of Mexican immigration, both legal and illegal will be presented. Through the use of dance, sound, video, narrative, and scripted dialogue, the performance questions the various “positions” in the current debate and the many issues that are affected by it. A discussion following the performance will feature a response from Dr. Christina Gomez, Associate Professor of Sociology and Latino & Latin American Studies Program at Northeastern Illinois University. The evening concludes with a reception in the E-lounge. The event is free and open to the public. For additional information, call 708-253-7493. GSU will host the 2010 Illinois Community College Juried Art Exhibition from March 4 through March 26 in the Visual Arts Gallery. This exhibition is a wonderful opportunity to celebrate the creative work of young artists and to get a glimpse of the extraordinary talent in our region. Exhibiting artists include students from 18 Illinois community colleges including Joliet Junior College, Kankakee Community College, Parkland Community College, and South Suburban College among others. Selected works by student artists will include painting, drawing, photography, sculpture, and ceramics. A closing reception to celebrate the show and the artists and present merit awards will be held on Friday, March 26 from 1 p.m. to 3 p.m. in the E-lounge. The exhibit and reception are free and open to the public. The gallery is open Monday through Thursday from 11 a.m. to 4 p.m. For additional information, call 708-534-4017. GSU and the South Suburban Collaborative Arts Guild (CAG) are joining forces to present “Art on Campus.” The exhibit, featuring the paintings, photography, and poetry of seven members of the CAG, runs through March 31 in the GSU main entrance Atrium Gallery and the Upstairs Gallery at the Center for the Performing Arts. The CAG is part of Union Street Gallery, Chicago Heights and provides area artists a platform to develop their creativity, exhibit their art, and conduct business as professional artists. For more information, call 773-398-5765. Faith United Protestant Church is sponsoring a Jazz Night Fundraiser on Friday, March 5. A family style dinner will be served at Scrementi’s Restaurant, 3750 Chicago Road, Steger, IL. There will be a cash bar at 6 p.m. and dinner will be served at 6:30 p.m. The Peter Sliwka Jazz Trio will perform from 7:15 p.m. to 9:15 p.m. Tickets are $30, with 10% of the net profit going to the PADS program at Faith United Protestant Church. Tickets are available at the church, 10 Hemlock Street, Park Forest. For additional information, call 708-747-1330. This National Juried Exhibit presents a broad range of works that address and question identity, role-playing, transformation, masquerade, and relationship. The collection of sixty-six works chosen for the exhibit by juror Geoffrey Bates is a complex mix of dark humor, visual puzzles, haunting memories and bizarre dreams. For more information or to hear gallery hours, call 708-754-2601. On Saturday, March 13 from noon to 2 p.m., learn to dye a favorite piece of clothing or fabric. Add hand painting and stamping. Event will be presented by Dorita Fuller. Bring your own item or purchase other ‘blanks’ onsite. A donation of $2 is requested. Call the Gallery to reserve a spot at 708-754-2601. The next AARP Safe Driving Class will be held on Tuesday, March 2 at Village Hall. The course qualifies seniors for a discount on the liability portion of their car insurance. The discount is good for three years, but you must contact your insurance company. The fee for the class is $12 for AARP members and $14 for non-members. Payment by check ONLY, must be brought to class, along with your AARP membership card. Call the Rich Township Senior Center at 708-748-5454, or Brenda Walker at the Park Forest Health Department at 708-748-1118 to make your reservation. The Park Forest Nurses Club is offering scholarships up to $2,000 to nursing students who reside in School Districts 227, 206, and 201-U. Winners will be selected on the basis of grade point average, citizenship qualities and goal achievement. Applications are available at Rich East, Rich South, Rich Central, Bloom, Bloom Trail, Crete Monee, and Marian Catholic High Schools. Application deadline is March 1. Lunch will be served and daycare provided. For more information, call 708-679-6100 weekdays between the hours of 8 a.m. and 4:30 p.m.
On Saturday, March 6 from 10 a.m. to noon, children ages 5 – 10 are encouraged to explore the environment, their community and the world around them. There is a fee of $5 per child (parents free). For additional information, please call 708-747-6320. Learning more about what makes leaders successful is integral to becoming a successful leader and understanding the roll character plays in our leaders. A Leadership Dialogue discussion of “Passion and Principal: John and Jessie Fremont, the Couple Whose Power, Politics, and Love Shaped 19th Century America” by Sally Denton will be led by Dr. Paul Craig, on March 13, from 8:30 a.m. to 1 p.m. in the Hall of Honors at GSU. The event is free and open to the public. Participants are asked to pre-register and be familiar with the book. For additional information or to pre-register, call 708-534-4024 or visit www.gsu-mile.org. GSU’s Library is offering free computer workshops to members of the community, students, staff, and faculty. Workshop topics include blogging, PowerPoint Basic, APA style formatting, plagiarism detection, and several workshops on genealogy. The workshops will take place in February, March and April and are open to the public. Advance registration is recommended but not required. For more information and a complete schedule of workshops, visit www.govst.edu/library or call 708-235-7514. GSU’s College of Arts and Sciences will hold a Prior Learning Portfolio Workshop on Saturday, March 6 from 10 a.m. to noon. Attendees will learn how to develop a portfolio of prior learning to apply toward a Bachelor of Arts in Interdisciplinary Studies. The two-hour session includes an explanation of the portfolio submission process. The cost of the workshop is $50 which includes materials. For more information or to register, call 708-534-4092. State Representative Al Riley will award eight individual one-year tuition waivers to students residing in the 38th District. Waivers are available for attendance at the University of Illinois (any campus), and any other Illinois public universities including Chicago State, Eastern Illinois, Governors State, Illinois State, Northern Illinois, Northeastern Illinois, Southern Illinois (both campuses) and Western Illinois University. Each waiver is good for one full year of tuition, including summer sessions. This scholarship does not waive student fees, housing, or book expenses. All applications must be postmarked or delivered to the district office by 4:00 p.m. on March 19th, 2010. All applications must be returned to Representative DeLuca’s District office by Friday, March 19. For more information or to receive an application, please call 708-672-0200 or visit www.housedem.state.il.us. Even though the holidays are over, your Park Forest Holiday shopping coupons are still valid. 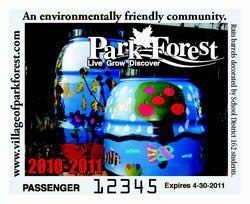 Park Forest residents should have received coupons in the mail from eleven Park Forest businesses for specials, offers and promotions – some of which will be honored through mid 2010. Participating businesses include: Lifetime Automotive Repair, 7-Eleven, Taco Bell, Tower Cleaners, The Children’s House, Cricket, Quality Classic Health & Fitness Center, Cedarwood Cooperative, Park Forest Auto Service, Inc., State Farm Insurance – Michael Jordan, Agent and Remedy Salon. Resolve to shop first in Park Forest during 2010. Last Minute Copy Shop of Steger has now expanded to Last Minute Printing & Copy Center and has opened in DownTown Park Forest. They are a one-stop shop to serve all their customer’s needs. Last Minute Printing & Copy Center uses high-speed color and black-and-white digital technology to complement traditional offset printing services and offer a more complete range of services to their customers including: graphic design, corporate branding, marketing, full color UV Gloss and silk laminated product lines, short–run digital printing, wide-format printing, specialty items, full color plaques, screen printing, embroidery and more. The owners, Michiel and Shon Burnett are Park Forest residents. Looking for alternatives to burgers and fries? Visit Park Forest’s newest fast food restaurant, Shrimp Max. Shrimp Max offers a wide range of food including shrimp, catfish, perch, salmon, chicken, Italian beef, an assortment of sides and desserts. Shrimp Max can also cater your next party. Hours are Monday through Friday from 10 a.m. to 10 p.m., Saturday, 8 a.m. to 10 p.m. and Sunday, 11 a.m. to 9 p.m. For more information, call 708-283-9503. Park Forest Subway, 22301 Central Park Ave. The Park Forest Subway Restaurant is closed temporarily as they undergo an interior renovation. The renovation is to provide better service to residents by adding two brand new handicap-accessible bathrooms for public use. If you haven’t been to the Park Forest Subway, please be sure to stop by at 22301 Central Park Avenues (near Taco Bell, &-Eleven and Cricket). To celebrate their 55th anniversary, the Park Forest Garden Club offers this cookbook filled with memories, gardening tips, flowery sayings and of course recipes. Makes a great gift. All proceeds go to the club and are used toward community contributions. Cookbooks are $9 and are available at the Park Forest Recreation and Parks Department, 350 Victory Drive. Call 708-748-2005 for additional information. All donations are tax deductible and receipts are available at collection sites. For more information about SSFS or the fundraising drive, please contact Ms. Meilach at 708-794-2140, extension 303. Do you have old televisions, computers, video games or other electronics or household appliances that need to be recycled? Want to know how to properly dispose of old or unused medication? Click on the “Recycling” icon found on the top of eNews Park Forest and you will find useful information on proper recycling/disposal that will not only be good for the environment, but in some cases, earn you a few dollars as well. The Park Forest Health Department and Environment Commission have partnered to provide information on the proper disposal of bio-waste such as used syringes or lancets (medical sharps). Begin by purchasing a Sharps container to dispose of your medical sharps for $10 at the Park Forest Health Department. Return the filled container to the Park Forest Health Department and purchase a new container. Call Brenda Walker at 708-748-1118 for more information. The Rotary Club of Park Forest is conducting a used cell phone and accessory collection drive to benefit the families and programs of the South Suburban Family Shelter. Donated items can be placed in the collection box located in the lobby of Village Hall. For more information, call Denyse Carreras at 708-283-5603. The Village of Park Forest encourages residents to visit Village Hall to pick up an environmentally friendly canvas bag that can be used for your day-to-day shopping needs. These bags are free while supplies last with only two expectations: 1) that residents have a valid email address so that future environmentally conscious concepts can be shared by the Village’s Environment Commission; and 2) that bags are limited to one per household. For more information on this program, visit the Village Manager’s Office on the second floor of Village Hall of call 708-748-1129. On Sunday March 7 at 3 p.m., join us for an opportunity to enjoy a special time together and plan for the upcoming “My Sweet Debutante Party.” Mothers and daughters plan and cater a party, write invitations, a guest list and thank you notes. For additional information, call 708-679-7960. “Operation Hero Miles” collects unused frequent flyer miles to help military families visit service members who were injured in Iraq or Afghanistan and are recovering in military hospitals around the world. Airline partners are: AirTran, Alaska Airlines, American, Frontier, Midwest, Northwest, United, and US Airways. To donate airline miles, visit www.FisherHouse.org. The Village of Park Forest is currently seeking the names and addresses of local military personnel currently serving overseas so that they may receive packaged donations from Park Forest residents. If you are a Park Forest resident and have a family member from your household currently deployed or if you have recently returned from a tour of duty, please call Judi Lancaster at 708-283-5608 or stop by the Manager’s Office at Village Hall, 350 Victory Drive. Sources: Park Forest Discovery Magazine, 2010 Winter/Spring Recreation Programs, Park Forest Fall/Winter 2009 Calendar of Events, Rep. A. DeLuca, Park Forest Library, Village of Park Forest, Center for Performing Arts, Governors State University, Prairie State College, Freedom Hall, Illinois Theatre Center, Illinois Philharmonic Orchestra, Tall Grass Arts Association, Union Street Gallery, Park Forest Rotary Club, South Suburban Family Shelter, Park Forest Nurses Club and Park Forest Historical Society websites.